. إن الخدمات الممتازة وحسن الضيافة العالي في The Westin Resort Guam تجعل إقامتك تجربة لا تنسى. يقدم الفندق خدمة الغرف على مدار الساعة, أمن على مدار 24 ساعة, معبد, متجر, خدمة التنظيف يوميًا لضمان الراحة القصوى لضيوفه. 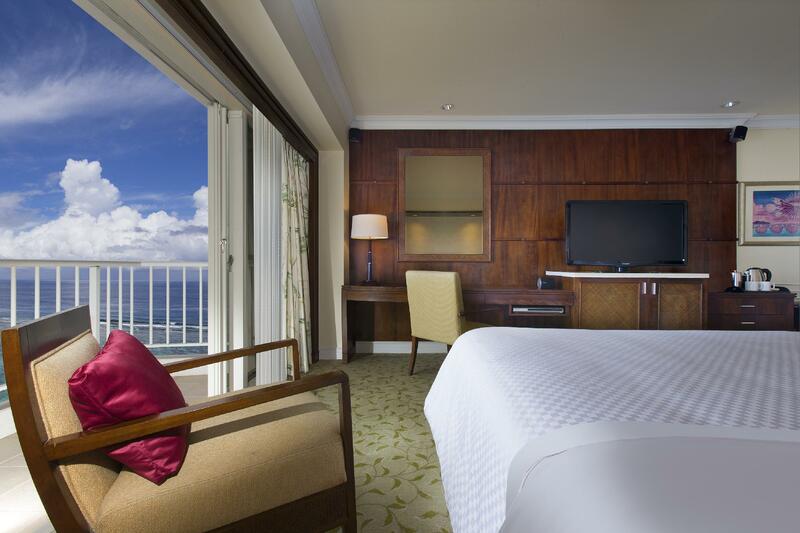 في The Westin Resort Guam غرف نوم يزيد عددها عن 432 صممت بذوق وعناية لتوفر لك كل وسائل الراحة . بعضها يحتوي أضاً على تلفزيون بشاشة مسطحة, هاتف في الحمام, سجاد, قهوة فورية مجانية, شاي مجاني. يقدم الفندق خدمات رائعة كمثل كنو, الغوص السطحي, تأجير معدات الرياضات المائية, حوض استحمام ساخن, مركز للياقة البدنية لمساعدتك على الاسترخاء بعد نهار طويل من النشاط والتجوال في المدينة. اكتشف مزيجاً ساحراً من الخدمة الاحترافية والخيارات الواسعة من وسائل الراحة والمتعة في The Westin Resort Guam. Hotel is a bit old and sorry, but staff are great. The bathroom wasn't flushing properly but they got it fixed quickly. A bit overpriced but it's the same all over Guam especially Tumon area. Great beach though and had a good afternoon nap on white sands right in front of the hotel. Had a hard time figuring out how to walk out to the main road - a little awkward And no taxis readily available for use. Would be nice to have a simple and inexpensive option for food. Like Japanese ramen or a quick bento or sandwich place that people could have grabbed a quick bite to eat. But experience was great and I would definitely return. Really great hotel and great staff location is amazing and you never really have to leave the hotel pool, beach, dinners!!!! Ask for the newest and best Manager Mr. Arnell Galendez...... he is a great guy! Although hotel is tired, location is great since the hotel is not in the center of everything so the beach is quiet and not crowded like the other hotels. Its walking distance to DFS and all the other shops and restaurants. the beach in front of the hotel is great, almost private. water is so clean and shallow. hotel is old, should be more than 10 years. room size is ok. we lived in the royal club rooms and have the free bar, which is nice. I booked a Superior King Corner room because of its wide sq footage, however on our 1st night, the aircon wasnt functioning well. The following day we called their attention and it was already almost 11pm when they decided we had to transfer to a smaller room instead. 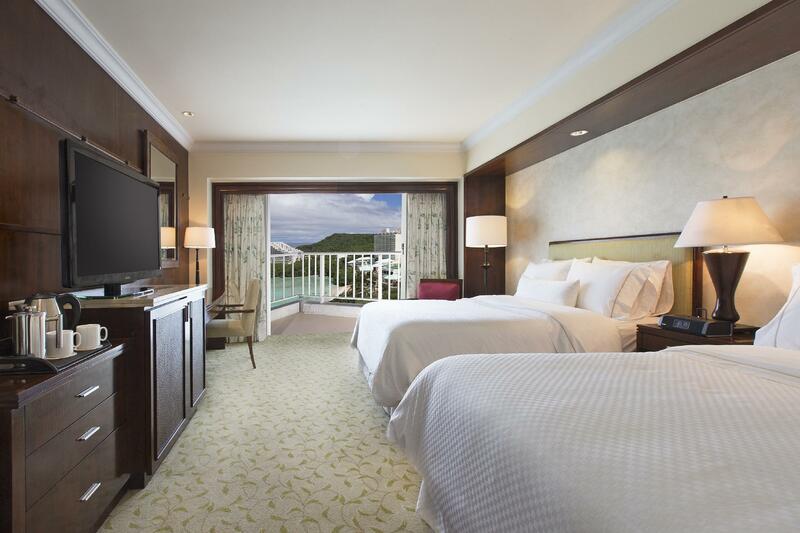 There is no other room as big as that corner room except the executive suite. Manager's disposition took time, we were tired and sleepy after a long day then had to transfer room before midnight. Too old hotel and needs renovation . Must improve or add more choices for breakfast buffet . Rooms and bed size are excellent. Close to everything... White Beach... My Kids enjoyed riding in the elevator..
We are traveling in a big group of 3 generations and aimed to spend lots of time at sea, Weston's direct access to beach allows us to have intermittent rests during the day. Part of the swimming pool remains in shade gives good shelter during hours of strong sun. Very calm waters vs nearby Nikko, which I think is important for snorkelling. Beach operator at Westin knows the site well and their friendly staff know exactly where to take us to find sea animals in a non disruptive manner which is important too! Convenience store, fast food & good quality eateries outside Westin within 15 mins walk a big plus, which means we don't have to rent a car for our entire trip, but only on days we need to venture farther south. I was really dissapointed when the front desk manager made mistakes two times. After I check in, i received a hotel room key. When i entered a room, there were 2 people in the room!! One of them was only wearing his underwear. I was shocked. After that i went to the front desk. And i received another room key. The manager just gave me a card. At that time she didn't say sorry to me. I kept my temper and i moved to a new room. Then, i tried to enter the room. But i couldn't. Because they didn't enrolled the card key. So i went to the front desk again. It was the worst experience of my life. Very convenient location for the Tumon shuttle tram service whhich will get you around Guam, as the bus stop is right in front of the hotel. There is also a free Shuttle bus service that will take u to the hotel from the Galleria duty free shop that runs every 10 minutes. only disappointment: wifi is not free in the room. The hotel was conveniently located within walking distance to restaurants and shops. DFS was a 5 min walk from the hotel which was awesome. The beach also felt more private and was not as crowded as the other side. We booked at the Royal Beach club floor so the rooms were spacious and the beds were amazingly comfy. Although its convenient to have breakfast and cocktails in the lounge, I think the service can be improved. During meal time, they always run out of utensils or at times there is a need to replenish the drinks or food but its quite difficult to ask for assistance since there would normally be only 1 person by the reception who is always busy assisting other guests. But when its time to take the food out, all of a sudden you see 2-3 staff in full force wasting no time to take away the buffet set up! Although the staff are generally friendly, I just don't understand why there is a lack of personnel during peak hours. Good location, quiet surroundings, good beach... I enjoyed the snorkeling on the beach right in the back of the hotel, and enjoyed eating meals near the hotel... The location is good that it's not too far from restaurants and stores, and that it's not too close to the busiest area of people and cars... The beds at the hotel were comfortable... The view from the room was okay, could see the ocean partially and sunset from the room. Overall we had a good stay at the hotel. It is a perfect hotel for a quiet weekend get away, especially if you wish to spend the time swimming, walking, or just relaxing at the beach.. The room was clean.. However there is no free wi-fi in the room, (there's charge per hour basis) and for the rate the hotel is charging, which is not cheap, one would expect at least to have this amenity for free. I wouldn't mind going back to this hotel in the future or recommend to friends. Good experience with guaranteed room upgrade to Royal Beach Club with lounge access for free drinks and simple breakfast. Beds were extrememly comforatable. Lounge facilities were basic without enough comfortable seats, food plates were always empty. High speed free internet in public area. Staff were friendly and helpful.